Below you can view all the homes for sale in the Westwood subdivision located in Denver Colorado. Listings in Westwood are updated daily from data we receive from the Denver multiple listing service. To learn more about any of these homes or to receive custom notifications when a new property is listed for sale in Westwood, give us a call at 720-729-2320. Also, plenty of public transportation is within walking distance of the home. For more information: https://www.larryhotz.com/listings/5064-w-dakota-ave-80219-westwood MLS#4944625. KENTWOOD REAL ESTATE DTC, LLC. Westwood neighborhood allows ARV parking, zoned E-SU-D1X. MLS#4379823. HomeSmart Cherry Creek. Seller will replace furnace and water heater with full offer. MLS#7178668. Highland Property. Don't miss out on this easy flip! MLS#4455389. Keller Williams Integrity Real Estate LLC. 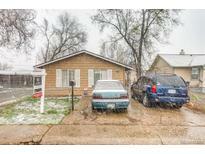 Whether you are someone looking for that perfect Denver home or an investor looking for a ready to go rental, this home is for you! MLS#2541574. Keller Williams Integrity Real Estate LLC. Within close proximity to downtown Denver, nearby shopping, parks, the Foothills, trails, restaurants and entertainment. Welcome home! MLS#7807859. Keller Williams Integrity Real Estate LLC. ** MUST SEE IN PERSON** Seller is giving a $5,000 dollar credit to buyer to use towards closing costs or AC or towards a Fence at entry! MLS#6995726. Resident Realty South Metro. Could this Westwood neighborhood retreat be your new home sweet home? MLS#5310360. Keller Williams Realty Urban Elite. All information is deemed reliable but not guaranteed, buyer and buyer's Agent to verify all information provided. MLS#3743224. eXp Realty, LLC. This triplex community has NO HOA! Incredible first time homebuyer opportunity! MLS#5948243. Keller Williams Realty Downtown LLC. New clothes dryer, new paint in all bedrooms. 9 x 7 shed. MLS#8468198. Keller Williams DTC. Please enjoy the 3D tour of the property to see it's a true gem. 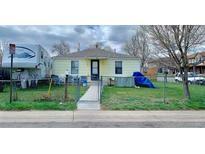 MLS#8439978. The Berkshire Group. Minutes driving to Belmar Shopping Center, South West Plaza and Denver Downtown MLS#3802831. Signature Realty North, Inc.. This truly is a must see! MLS#6883496. RE/MAX PROFESSIONALS. Do not know if fireplaces are functional. MLS#9818546. Highland Property. Great backyard and plenty of off street parking and storage. Priced to sell. MLS#4939772. Highland Property. MLS#9637165. Keller Williams Realty Downtown LLC. Check out this link: https://choosecolorado.com/opportunity-zones/?fbclid=IwAR1KndkHL_DNVwoTR5bdnjSNODdts8rQe4Eq4vOq0044H09r_NcZfQ-PyC0 MLS#6038302. Focus Real Estate. Zoning says that this lot will take two units but you must do your own due diligence regarding this representation to verify. MLS#5903395. MB SUMMIT REALTORS.